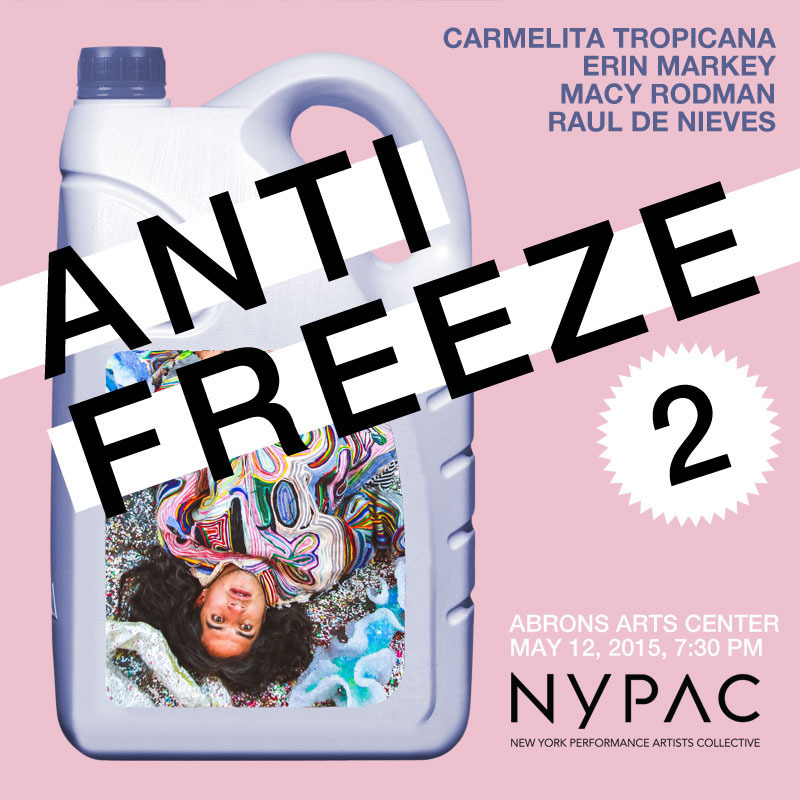 NYPAC, the New York Performance Artists Collective, is pleased to announce the return of ANTIFREEZE to Abrons Arts Center. We know you loved last year’s performances, but there’s no need to get high on fumes: ANTIFREEZE 2 brings a new lineup of performers to the stage just as art fair madness hits the city again. In our signature contrarian spirit, we invite you to skip out on the ferries, the paintings, and the champagne. Instead, come join us on May 12th to celebrate the endurance of downtown performance art with this year’s host, the legendary Carmelita Tropicana, as well as an eclectic mix of pieces by Erin Markey, Macy Rodman, and Raul de Nieves.